After snapping the final piece into place with a satisfying “click” she feels through her spacesuit gloves, the astronaut pauses to appreciate the view. Her reflection swims before her in a silvery disk the size of three tennis courts; for a moment she feels like a bug floating on a darkened pond. Composed of hundreds of interlocking metallic hexagons like the one she has just installed, the disk is a colossal mirror 30 meters wide, the starlight-gathering eye of the largest space telescope ever built. From her perch on the robotic arm of a small space station, Earth is a tiny blue and white orb she could cover with an outstretched thumb, dwarfed by the bright and silent moon spinning thousands of kilometers below her feet. Although this scene remains the stuff of science fiction, an ad hoc assemblage of scientists, engineers and technocrats now say it is well on its way to becoming reality. Under the auspices of a modest NASA-sponsored initiative, this diverse group is gauging how the space agency might build bigger, better space telescopes than previously thought possible—by constructing and servicing them in space. 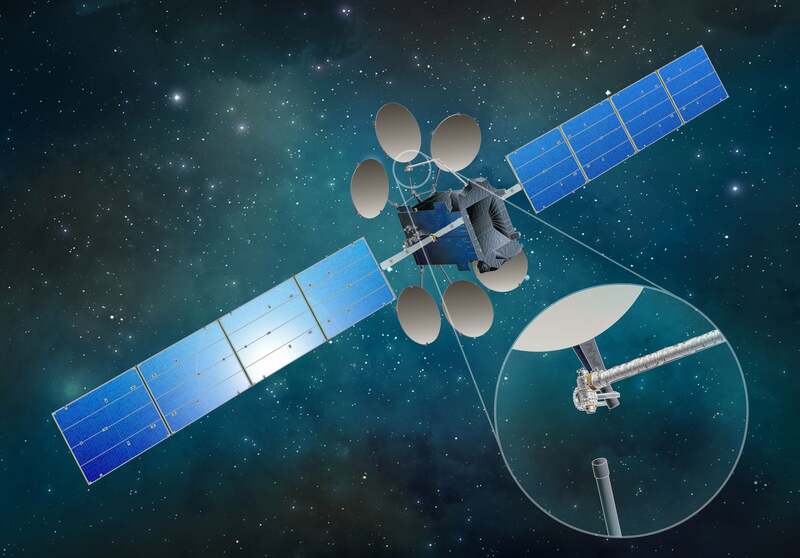 The effort, formally known as the “in-Space Assembled Telescope” study (iSAT), is part of a long trend in which science advances by piggybacking on technologies created for more practical concerns. In some respects, building and repairing spacecraft in space is a revolution that has already arrived, merely kept under the radar by a near-flawless track record that makes it seem deceptively routine. Two of NASA’s pinnacle projects—the International Space Station (ISS) and the Hubble Space Telescope—owe their existence to orbital construction work. Assembled and resupplied in orbit over two decades, the ISS is now roughly as big as a football field and has more living space than a standard six-bedroom house. And only space-based repairs allowed Hubble to become the world’s most iconic and successful telescope, after a space shuttle crew on a first-of-its-kind servicing mission in 1993 fixed a crippling defect in the observatory’s primary mirror. Astronauts have since conducted four more Hubble servicing missions, replacing equipment and upgrading instruments to leave behind an observatory reborn. Today multiple projects are carrying the momentum forward from those pioneering efforts, cultivating powerful new capabilities. Already NASA and the Pentagon’s Defense Advanced Research Projects Agency (DARPA) as well as private-sector companies such as Northrop Grumman and Space Systems Loral (SSL) are building robotic spacecraft for launch in the next few years on lengthy missions to refuel, repair, re-position and upgrade governmental and commercial satellites. Those spacecraft—or at least the technologies they demonstrate—could also be used to assemble telescopes and other large structures in space such as those associated with NASA’s perennial planning (pdf) for human missions to the moon and Mars. Last year—under the auspices of a “partnership forum” between NASA, the U.S. Air Force and National Reconnaissance Office—the space agency took the lead on crafting a national strategy for further public and private development of in-space assembly in the 2020s and beyond. The fundamental reality behind the push for in-space assembly is easy to understand: Anything going to space must fit within the rocket taking it there. Even the very biggest—the mammoth 10-meter rocket fairing of NASA’s still-in-development Space Launch System (SLS)—would be unable to hold something like the ISS or even the space agency’s smaller “Gateway,” a moon-orbiting space station proposed for the 2020s. Launching such megaprojects piece by piece, for orbital assembly by astronauts or robots, is literally the only way to get them off the ground. And coincidentally, even though massive “heavy lift” rockets such as the SLS remain ruinously expensive, the midsize rockets that could support orbital assembly with multiple launches are getting cheaper all the time. The forces demanding supersize space telescopes are straightforward, too: The larger a scope’s light-collecting mirror is, the deeper and finer its cosmic gaze. Simply put, bigger is better when it comes to telescopes—especially ones with transformative objectives such as tracking the coalescence of galaxies, stars and planets throughout the universe’s 13.8-billion-year history, learning the nature of dark matter and dark energy, and seeking out signs of life on habitable worlds orbiting other stars. Most of today’s designs for space telescopes pursuing such alluring quarry cap out with mirrors as wide as 15 meters—but only because that is the approximate limit of what could be folded to fit within a heavy-lift rocket like the SLS. Astronomers have long fantasized about building space observatories even bigger, with mirrors 30 meters wide or more—rivaling the sizes of ground-based telescopes already under construction for the 2020s. Assembled far above our planet’s starlight-scattering atmosphere, these behemoths could perform feats the likes of which ground-based observers can only dream, such as taking pictures of potentially Earth-like worlds around a huge sample of other stars to determine whether those worlds are actually habitable—or even inhabited. If our own Earth is any example to go by, life is a planetary phenomenon that can transform the atmosphere and surface of its home world in clearly recognizable ways; provided, that is, one has a telescope big enough to see such details across interstellar distances. A recent “Exoplanet Science Strategy” report from the National Academies of Sciences, Engineering and Medicine said NASA should take the lead on a major new space telescope that begins to approach that grand vision—something capable of surveying hundreds (or at least dozens) of nearby stars for snapshots of potential exo-Earths. That recommendation (itself an echo from several previous prestigious studies) is reinforced by the core conclusion of another new Academies report which calls for the agency to make the search for alien life a more fundamental part of its future space exploration activities. These reports build on the growing consensus that our galaxy likely holds billions of potentially habitable worlds, courtesy of statistics from NASA’s recently deceased Kepler space telescope and the space agency’s newly launched Transiting Exoplanet Survey Satellite. Whether viewed through the lens of scientific progress, technological capability or public interest, the case for building a life-finding space telescope is stronger than ever before—and steadily strengthening. Sooner or later it seems NASA will find itself tasked with making this longed-for giant leap in the search for life among the stars. How big such a telescope must be to offer a reasonable chance of success in that interstellar quest depends on life’s still-unknown cosmic prevalence. With a bit of luck, one with a four-meter mirror might suffice to hit the jackpot, locating an inhabited exo-Earth around one of our sun’s nearest neighboring stars. But if the cosmos is less kind and the closest life-bearing worlds are much farther away, something in excess of the 15-meter limit imposed by near-future rockets could be necessary to sniff out any living planets within our solar system’s corner of the galaxy. In short, in-space assembly may offer the only viable path to completing the millennia-long effort to end humanity’s cosmic loneliness. “Scientists have already hit a design constraint to achieve the science they want to advance,” says Nick Siegler, an astrophysicist at NASA’s Jet Propulsion Laboratory (JPL) and chief technologist of the space agency’s Exoplanet Exploration Program. “What if that particular constraint did not exist? This is what in-space assembly offers—the opportunity to push the boundaries, both in scientific discoveries and human exploration.” Along with Harley Thronson, a senior scientist at NASA Goddard, and Rudra Mukherjee, a JPL roboticist, Siegler formed what would become the Future Assembly and Servicing Study Team (FASST) in late 2016, organizing the group’s inaugural meeting at an astrophysics conference in Texas in early 2017. The iSAT study is the first NASA-funded FASST activity, but probably not the last. The team aims to be more than just another group of cloistered academics proffering pie-in-the-sky ideas. Its membership includes level-headed spaceflight veterans such as John Grunsfeld, a former astronaut and head of NASA’s science programs who served as an orbital repairman on three of the five Hubble servicing missions. 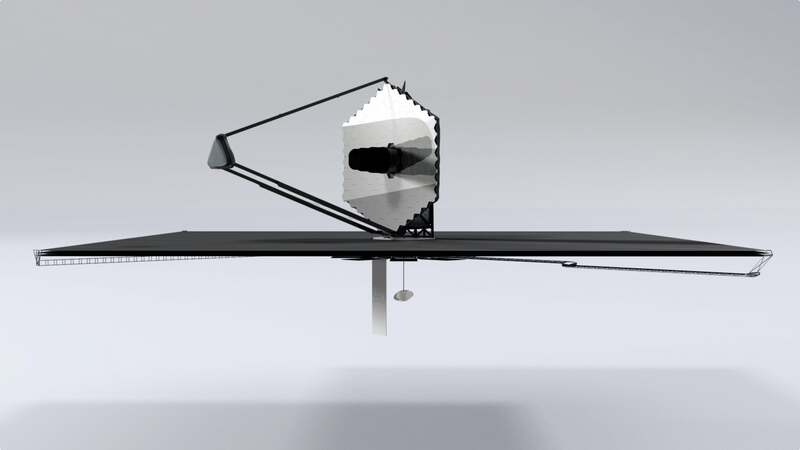 The team’s intention, Grunsfeld and other participants say, is less to persuade the space agency to champion in-space telescope assembly, and more to clarify the approach’s potential benefits and drawbacks. “Assembly of telescopes in space will clearly yield bigger telescopes, but answers to the why, what, how, risk, cost and when to do in-space assembly do not yet exist,” says team member Ron Polidan, a now-retired expert in space technology development at NASA and Northrop. What is already certain, though, is time is running out for the group to have a meaningful impact on NASA’s near-future plans. The team is now conducting frequent teleconferences, sprinting to complete a “proof of concept” study examining the in-space assembly of a hypothetical telescope with a 20-meter mirror. What would such a telescope’s modular components be, where in space would it be built and operated, which rockets and spacecraft would support it and how many launches would be required? Would the telescope’s pieces be assembled by astronauts or by robots? And, perhaps most importantly, could in-space assembly become a cost-competitive approach to building smaller space telescopes that would otherwise follow the tradition of being stowed and deployed from a single rocket? The iSAT team’s report will address such questions when it appears in the spring of next year. A schematic illustration of the iSAT study’s “proof of concept” design, a hypothetical telescope with a 20-meter mirror designed for space-based robotic assembly and servicing. 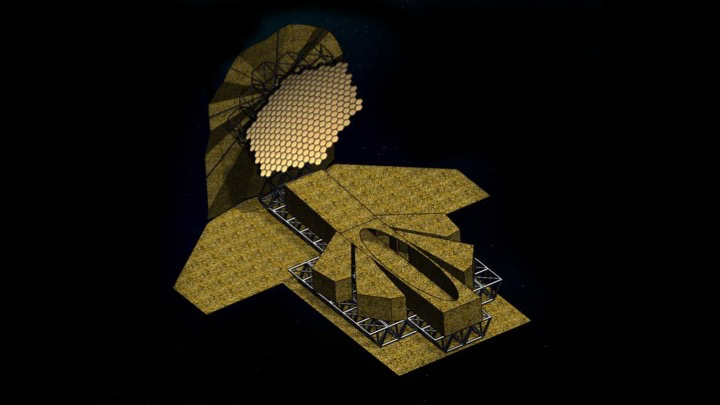 A starlight-blocking, telescope-cooling “sunshade” is shown behind the honeycomb-like segmented primary mirror as well as beneath the truss-mounted instrument bay. Such an observatory could be built in increments, progressively increasing in capability as new instruments and additional primary mirror segments are launched from Earth and installed. Credit: NASA, JPL-Caltech and R. Mukherjee et al. That timing is important for potentially influencing the final design of NASA’s proposed lunar Gateway, which could be used as a deep-space construction platform. The iSAT study’s timing also overlaps with the onset of the astrophysics “Decadal Survey,” a once-every-10-year process in which the U.S. research community creates a prioritized list of recommended future projects for NASA and Congress to follow. The Decadal Survey’s most impactful recommendation would be a multibillion-dollar space telescope for the 2030s—a “flagship” project, the largest class of science mission the space agency undertakes. Four NASA-sponsored Science and Technology Definition Team (STDT) studies are presently underway in anticipation of the Decadal Survey, each developing a unique flagship concept and associated suite of science objectives based on scientific, technological and budgetary considerations. According to Siegler and other NASA officials, the largest designs from two of the four STDT studies—both with exoplanet-imaging as a foremost goal—have already reached either the size or weight limitations of the most powerful version of NASA’s nascent SLS heavy-lift rocket. But as of yet none of the four studies have incorporated meaningful considerations of in-space assembly techniques. A new very large space telescope might be a hard sell for many in the U.S. astrophysics community, regardless of whether it is built on the ground or in space. 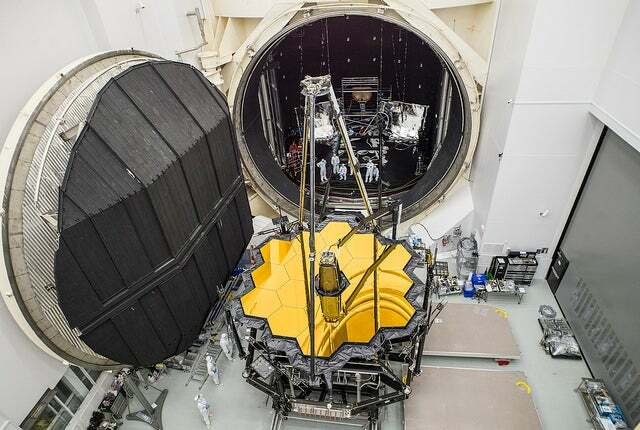 Either approach could prove a bridge too far for NASA, based on the space agency’s problem-plagued flagship next in line to launch: the James Webb Space Telescope, which seeks to glimpse the universe’s very first stars and galaxies. “People are still traumatized by what happened with Webb, and rightfully so—they are worried that something similar will happen again,” says Scott Gaudi, an astronomer at The Ohio State University and co-author of the “Exoplanet Science Strategy” report. The project hinges on the nail-biting self-deployment of a foldable 6.5-meter mirror and an even larger “sunshield”—each the largest ever launched—as the observatory travels to a dark, quiet point past the moon and beyond ready repair or servicing by NASA’s astronaut corps. Ensuring all will go as planned has proved enormously expensive. From a notional projected budget of $1.6 billion in 1996 and a potential launch date as early as 2007, Webb’s actual price tag has ballooned to nearly $10 billion, and the telescope’s launch is now slated for no earlier than 2021. The funds to pay for Webb’s overruns have come in part from cannibalizing many other worthy projects, to the overall detriment of NASA’s space-science portfolio and near-universal consternation of researchers. “Going into the Decadal Survey, my fear is that the Decadal committee will be so frightened of cost that they won’t recommend any flagship,” says one prominent astrophysicist who asked to remain anonymous. “And if the Decadal—the community, really—is too shy and doesn’t recommend a large strategic mission, then it becomes a self-fulfilling prophecy that there simply will not be one.” That, in turn, could lead to the U.S. ceding its preeminence in the field of space-based astronomy to competing nations, namely China, which has plans of its own for in-space assembly—including taikonaut-tended orbital observatories. The resulting exodus of scientists and engineers for fairer international shores could devastate U.S. space science for generations, with far-reaching consequences for the nation’s continuance as a global superpower. Whether all this makes Webb a testament for or against in-space assembly and servicing is a matter of debate. Any hiccups in the mirror’s or sunshield’s postlaunch deployments could render Webb a $10-billion hunk of inoperative space junk—and that assumes, of course, the telescope escapes Earth at all rather than falling victim to an unlikely-but-possible malfunction of its launch vehicle. In principle, building and testing the telescope in orbit could have reduced or nullified these and other threats—albeit potentially with a greater price tag. “In-space assembly would have completely relieved the requirement to fold and deploy Webb, and furthermore, a launch failure would not necessarily be a mission failure,” Siegler notes. For all those reasons, despite Webb’s status as the premier facility for space-based astronomy in the 2020s and its associated wealth of new technologies that can feed in to even more advanced future observatories, many iSAT team members team see the project as an unsustainable “evolutionary dead end” whose time has in some respects already passed. Whatever arises from its fantastic-but-flawed legacy will depend not only on the outcomes of the iSAT study and the Decadal Survey, but also on the courage of scientists and policy makers to embrace bold, paradigm-shifting new approaches. YESTERDAY, ASTRONOMER TABETHA Boyajian revealed the first data from her telescope survey of a very special star. 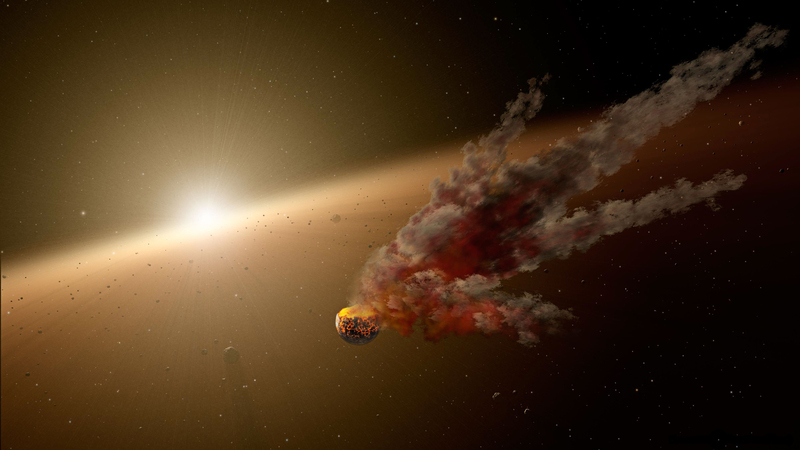 For almost four months, she’s been using the Las Cumbres Observatory Global Telescope Network to watch for the unpredictable dimmings of KIC 8462852, a star 1,480 light years away. Its strange flickering pattern could have many explanations—stars, asteroids, or comets passing between there and Earth. 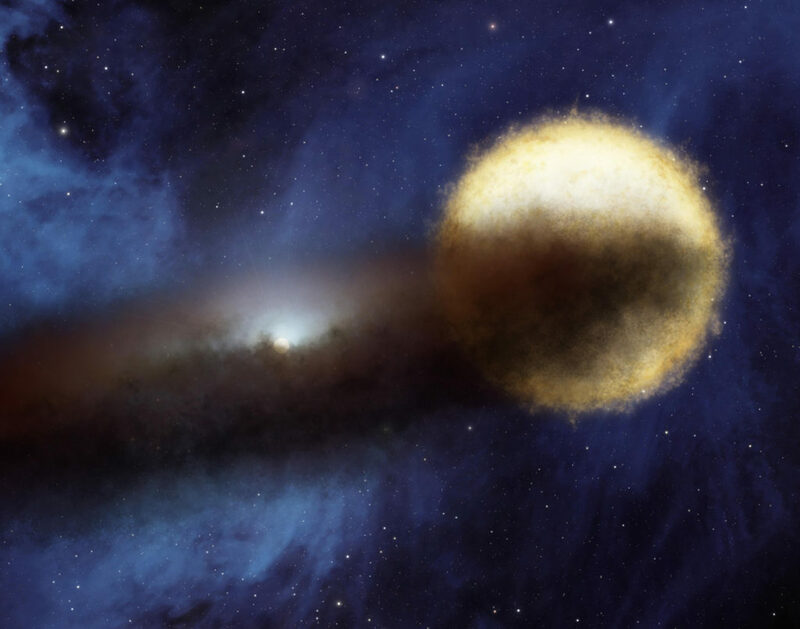 But the one that turned this star into a star—making Boyajian’s new survey possible—is aliens. This new research wouldn’t exist if not for the support of 1,762 people who signed on to Boyajian’s Kickstarter campaign—to whom she emailed a sneak data-peek yesterday. 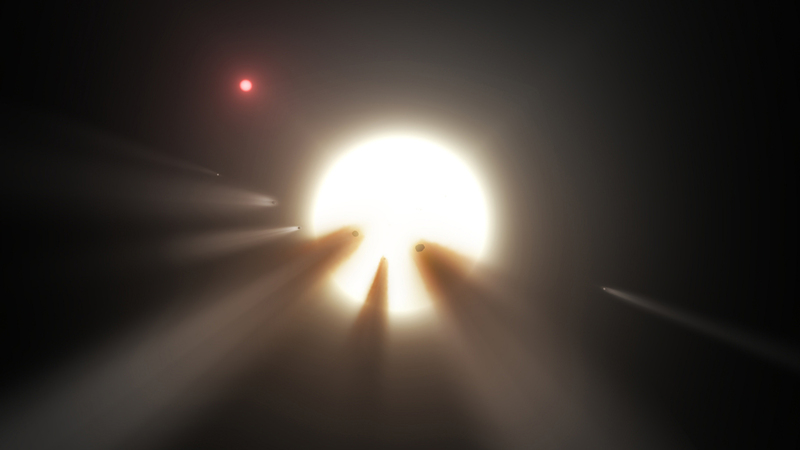 And there’s an entire subreddit devoted to discussion of what people have come to call “Tabby’s Star.” “Together we’ll get to the bottom of the greatest mystery we’ve perhaps ever faced as a scientific community,” posted a user named Pringlecks, after another member shared Boyajian’s email to the forum. Tabby’s Star has a logo, a moniker, a figurehead, a cohesive online presence, and a fan base. It’s kind of a brand now—and it points to a new way of doing science. Tabby’s Star began its celebrity ascent more than five years ago, when the Kepler exoplanet telescope collected some weird data. In March 2011, scientists believe something huge passed in front of KIC 8462852—whatever it was had to be big enough to block 15 percent of its light. On February 28, 2013, it happened again, this time blocking 22 percent (for reference, a Jupiter transit darkens the Sun by just 1 percent.). The data also showed a bunch of smaller, irregular dips in brightness. A group of citizen scientists called the Planet Hunters were the first to notice. When they saw KIC 8462852’s weird behavior in the Kepler data, they alerted Boyajian, a member of the Planet Hunters science team. She wasn’t sure what she was looking at. But she soon brainstormed astronomical explanations detailed in the discovery paper—subtitle: “Where’s the Flux?” (WTF). She didn’t include another idea that astronomer Jason Wright first proposed to her: What if “alien megastructures,” big construction projects, circled the star? Boyajian eventually embraced the megastructures as a (last-resort) hypothesis. But she also realized she could harness (and monetize) excitement in maybe-possibly-aliens to work on solving the mystery of KIC 8462852. Because the star’s dips don’t seem to come at regular intervals, she needed a long-term, every-day espionage program to be sure they catch the action. The Kickstarter page for the Most Mysterious Star in the Universe was born in May 2016. But it worked. In 30 days, 1,762 backers donated more than $107,000. “We are overwhelmed and humbled to see the amount of public support for WTF science!” Boyajian wrote. Although Boyajian was cautious about using the word “megastructures” on the Kickstarter page, she says that is, of course, what most of the backers are cheering for. Astronomers are often wary of associating themselves with an alien hypothesis, lest they be lumped with UFO spotters or accused of hyping that unlikeliest explanation for publicity. But, the truth is, people get more excited about hypothetical extraterrestrials than they do about swarms of comets (the current leading explanation). Even though comet swarms are also cool. And maybe that’s okay. The community is psyched for this science, which they can see unfolding—can help unfold. Tabby’s Star is a star of the people: Start to finish, it’s the story of non-professionals interacting with inexplicable data. 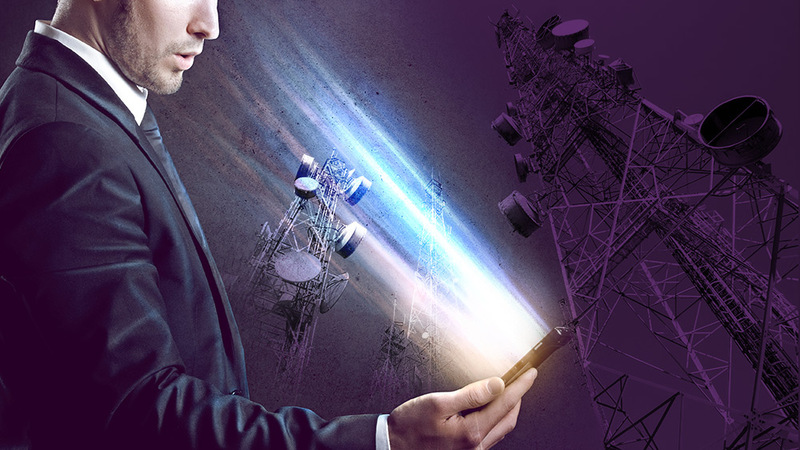 They uncovered it in the first place; they put it on Boyajian’s radar; their clicks made it popular; and now their disposable income is funding a private project to get more data that they will be able to interact with. They want more of it. And they’re getting it. Boyajian created an informational website called Where’s The Flux?, and she hopes to hire a student to improve it as part of her new faculty job at Louisiana State University. Tabby’s Star has PR. I’m just going to go ahead and answer that for you: No. And now the crowd is getting new data. Since the beginning of May, the Las Cumbres follow-up project has been looking at Tabby’s Star every two or so hours in multiple colors. Enthusiasts can check out the public data-processing software code. Citizen observers with backyard telescopes can also contribute their own observations, and view others’, through the American Association of Variable Star Observers. No one knows for sure when the star will start acting up again, or how long it may take to create, confirm, and deny hypotheses. And one hard thing about public involvement is that science is slow and, day to day, kind of boring. Boyajian and her team will have to manage people’s expectations, in addition to giving them data. And then when something does happen, what’s the protocol? Contact another telescope right away for follow-up? Alert their community after it’s confirmed? What if it’s a false alarm? It’s a lot of responsibility, especially for a person who just started a new job and actually spends 90 percent of her time on other research. The fans, including other scientists, await the day Boyajian will announce that her star is acting up again, and the data to back it. But what if—and please don’t kill me for asking this—the team rules out every other hypothesis and finds convincing evidence that, OK, yeah, fine, it’s aliens. Want to know if that meteor that just struck Earth has a companion? Take a look at its trail. A new study shows that images of a meteor’s streak through the atmosphere taken by Earth-gazing probes, including weather satellites, can pin down the object’s orbit, enabling scientists to check and see whether another planet-threatening object is traveling in the same trajectory. The finding comes thanks to the almost-20-meter-wide meteoroid that blazed into Earth’s atmosphere in February and exploded over Chelyabinsk, Russia, damaging buildings there and injuring hundreds. Soon after it streaked over the country (main image)—in some cases, mere minutes later—a number of satellites snapped views of the trail from on high (example, inset). Analyses of those images enabled researchers to confirm the trail’s location, height, and orientation, which in turn allowed them to determine the orbit that the object had been following before it slammed into the atmosphere. The orbit estimated using satellite data alone reasonably matched the one estimated via ground-based videos, the team reports online today in the Proceedings of the National Academy of Sciences. In situations where objects enter Earth’s atmosphere in more remote locations—over the ocean far from land, for example—satellites may be the only sources of data that could be used to determine an object’s orbit. The threat to our planet from an object’s orbital companions isn’t merely an abstract concern, the researchers contend: One recent study suggests that about 15% of the asteroids that cross Earth’s path may be part of double or triple asteroid systems. What Will Comet ISON Do? Now that comet Pan-STARRS has started to move on after a showy appearance in the twilight skies, it’s time to turn our attention to the next comet that could turn out to be a show-stopper: C/2012 S1 (ISON), generally just called ISON. Its orbit is nearly a perfect parabola, meaning this is probably its first ever pass into the inner solar system. It’s a Sun-grazer, meaning it’ll dip really close to the Sun before heading back out again. It’s been pretty active, blowing out lots of material despite being over 700 million kilometers from the Sun. That means it may get much brighter as it gets closer, and some estimates put it as easily outshining Venus! But it’s hard to predict. We are in no danger from this comet, which never gets closer than about 60 million kilometers from Earth, but we may pass through its debris early next year, sparking a cool meteor shower. Objects orbit the Sun in different kinds of paths. A closed path like a circle or ellipse means the object will orbit the Sun essentially forever—think planet or asteroid. Comets, though, tend to have very elongated orbits. There are probably trillions of icy chunks orbiting the Sun way out past Neptune, hundreds of billions of kilometers out. They spend vast amounts of time out there, and sometimes, slooowwwlllllyyyy start to drop toward the Sun, speeding up as they fall in. Comet orbits typically are incredibly elongated ellipses, so long they start to look more like parabolae. Mathematically, a parabola is what you get if the comet drops literally from infinity, but starting a couple of hundred billion kilometers out is close enough. ISON may in fact have an even more extreme type of orbit called hyperbolic, which means it may have gotten a bit of an extra kick from a planet like Jupiter, giving it a scosh more energy. If this is the case, it will pass through the inner solar system with so much velocity it will never come back. Ever. It’ll travel out into interstellar space, and wander the galaxy. So that’s pretty cool. This also means the comet is a virgin, so to speak. That makes it more interesting, astronomically: Every time a comet gets near the Sun it dies a little bit, losing gas and dust to space. If this is ISON’s first pass, that means it has a full quiver of material to shed, so it could be pretty bright. Not only that, on Nov. 28, when it reaches perihelion (its closest point to the Sun) it’ll practically skim the star’s surface at a distance of only 1.2 million km (700,000 miles), about three times the distance of the Moon from the Earth, for comparison. That’s amazingly close! From that distance the Sun will be nearly 100 times bigger than we see it from the Earth. For the comet, it’ll be like sticking its head in a 5000 degree oven. It’ll probably survive—the close encounter will last a few days, not long enough to totally vaporize the comet—and at closest approach will be traveling at something like 600 kilometers per second. That’s well over a million miles per hour. If that doesn’t hurt your brain, think of it this way: That’s 0.2 percent the speed of light. Yowza. In January of 2013 NASA’s Swift satellite used its Ultraviolet and Optical Telescope (UVOT) to take a look at ISON. Frozen water in the comet is already turning into gas due to sunlight, and when it gets hit by solar UV the water breaks down into atomic hydrogen and hydroxyl (OH)*. Hydroxyl itself will then emit UV light, which Swift can see and use to estimate the amount of water in the comet. Observations indicate that the comet is shedding about one kilogram (2.2 pounds) of water every second! That may sound like a lot, but a comet can have a lot of water. Estimates give the size of the comet as about three kilometers across, a bit smallish, but it still could have trillions of kilos of water inside. It’s good for a while. It’s also blowing out a lot of dust, far more than water: about a ton per second. Mind you, at the time Swift was looking the comet was farther from the Sun than Jupiter! It’s cold out there, so the fact the comet is doing this at all is hinting at a pretty dynamic time coming soon. Predicting how bright a comet will get is really hard. Sometimes they fizzle. That can happen if it slows blowing out material, for example. Comet Kohoutek in the 1970s is the poster child for this, never getting as bright as hoped. ISON will get very close to the Sun, so it will certainly get bright then, but it’ll be so close it’ll be hard to see. In 2007 I saw comet McNaught at noon! But it was so close to the Sun it was really hard to do. Maybe we’ll get lucky this time, and ISON will do well. I’ve seen estimates that actually predict it could get as bright as the full Moon, but again you have to take those with a pretty good dose of NaCl. One way or another it should start getting easy to see in small telescopes over the summer, and hopefully be naked-eye visible by fall. It bugs me to have to say it, but given the fear-mongering I see all the time online, it behooves me to say clearly that this comet poses no threat to Earth. It never gets very close to us, and its orbit is nearly perpendicular to ours. However, the Earth will pass through the path of the comet a few weeks after the comet goes by, and since it’s shedding material we may get plow through some debris. This happens all the time with comets, and we call those events meteor showers. Given this comet is new, we may get a nice shower. Or, we very simply may not. Time will tell. Interestingly, Mars will get a closer pass from ISON. On Oct. 1, 2013, the comet will pass roughly 10 million km (six million miles) from Mars. That’s far enough that the gravity of the planet won’t do much, and still pretty much guarantees Mars won’t see any impacts from the debris cloud. I’ll note that ISON has a weirdish orbit, coming in from north of the Earth’s orbital plane, dipping briefly south, then popping back up north. That means those of us above the equator will have a pretty good view. I expect we’ll be getting lots of amazing pictures of it, and I’m hoping to be one of the folks taking them. But that’s months from now. I just wanted to give you a heads-up now, since you’ll be hearing a lot more about this celestial visitor in the months to come. As time goes on I’ll have more info, including more detailed star charts so you can see it yourself (like the one above), and instructions on how to safely view it (I add the adverb since it will be brightest when it’s close to the Sun, so observing has to be done with care). So stay tuned. There may be lots more to come(t).